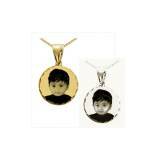 Oval Portrait Pendant With Embellished . 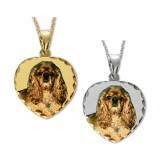 . .
Color Portrait Oval Pendant With Diamond . . .
Personalized Necklace Family Photo Heart . . .
Color Portrait Heart Pendant With Diamond . . .
Small Round Portrait Pendant With Diamond . . .
Color Portrait Small Round Pendant With . . .
Necklace Color Portrait Oval With . . .
Color Portrait Heart Shaped Pendant On . . . Whether it is a single subject or a family portrait, this oval pendant is the perfect one of a kind gift for any occasion! Crafted from your choice of metal, most are finished with diamond cut edging.